Here are among the core services we provide. Ahh.. So you are wondering how the heck can you accept major credit/debit card for online transaction in Brunei? Wondering how e-commerce revenue can be funneled to your local BIBD, TAIB, HSBC or SCB? We have found the solution. Give us shout and we'll show you how. So what do you mean responsive design? You want your product (website/web app) to look good on desktop, tablet and smartphones that it'll adapt to the screen size, well responsive design means catering to that demand. Your idea into an app, be on the web or as app on smartphone. We think we can help you with that. 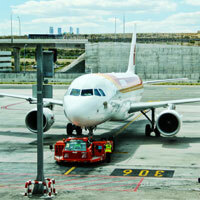 application and certainly web site to suit their needs. find me at twitter @bahit. right away from bed in the weekend? 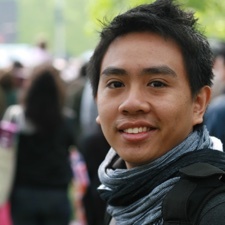 Started as a freelance web developer working using Joomla CMS and worked on a few local organisations, companies and NGOs. 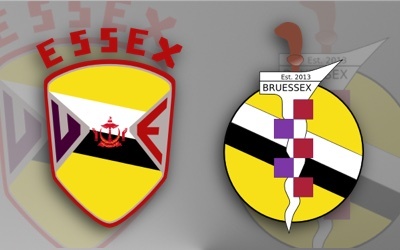 Registered Bahit Designs as a registered company in Brunei Darussalam. Established Bahit Designs as a full servicing, catering local entreprenuers, businesses and organisations. Helped co-developed Artkidemy.com, a local art competition that aims to be the largest competition for children and schools, with PHMD Publishing. Rantau - an online property listing in Melbourne, Australia for Malaysian Student studying abroad. The team consists of just me at the moment. The jack of all trades and master of none. I do the design, development, coding, management and business administration. If you think you are a good fit with Bahit Designs company's culture, drop me an email. Use this contact form to contact us directly. 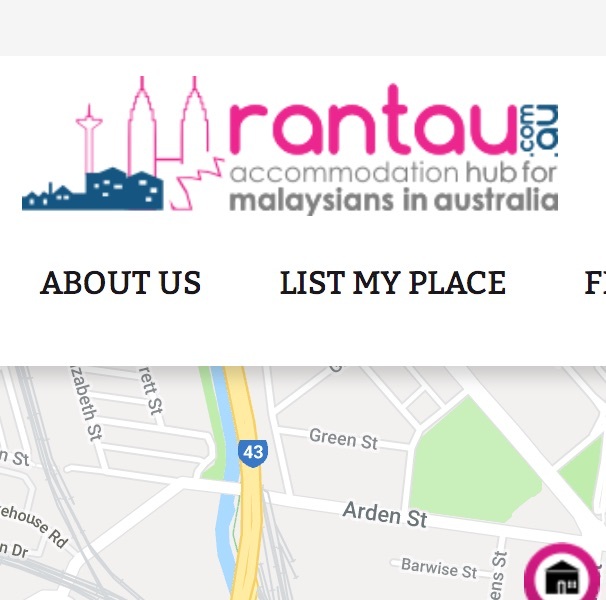 Rantau is a Melbourne based accomodation for malaysian living in Australia. 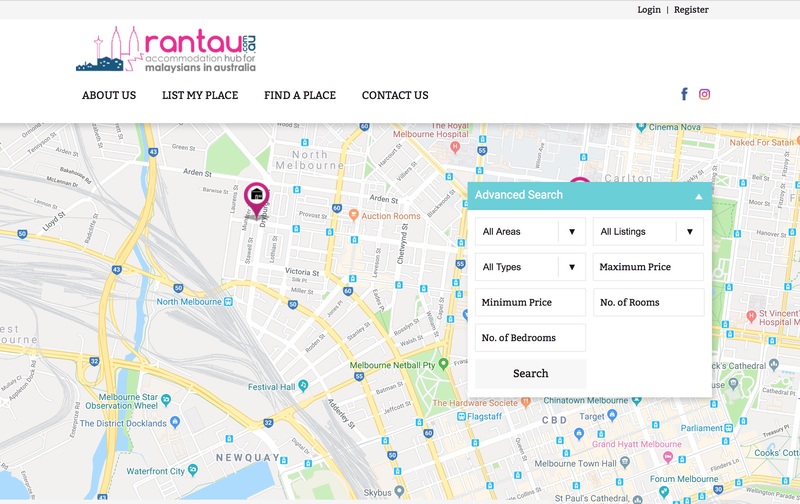 This is a real estate listing website for locals in Melbourne that wants to cater students accommodation especially those coming from Malaysia. This website provides listing, sorting, business customers creating accounts and listing their properties on this website, while students would browse and view them through the updated pictures of the properties. 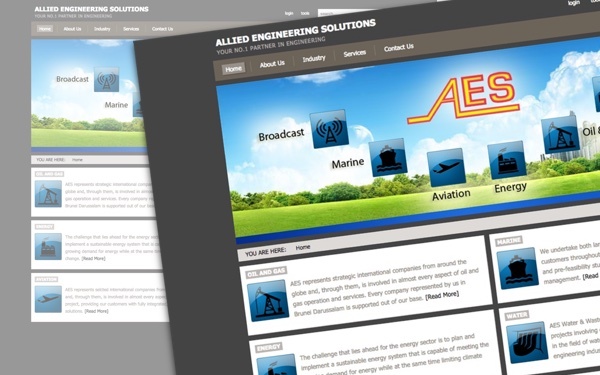 Website is powered by Wordpress CMS. 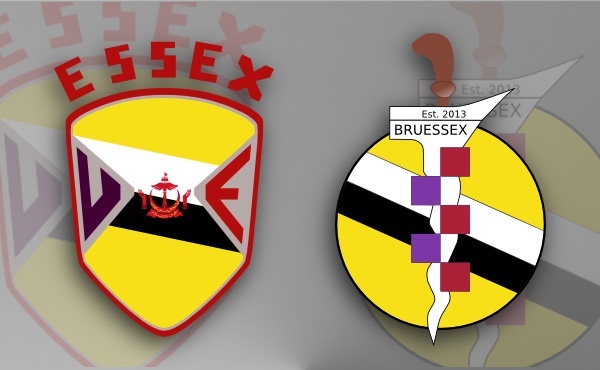 Brunei Student Society in University of Essex, BruEssex, founded in 2013. The members sketched, voted and we designed the final fector logo. Artkidemy is the brainchild of PHMD Publishing who aims to be the largest art competition in Brunei Darussalam. They envisioned how things would work, we tie things together using available tools and best practice and they launched. 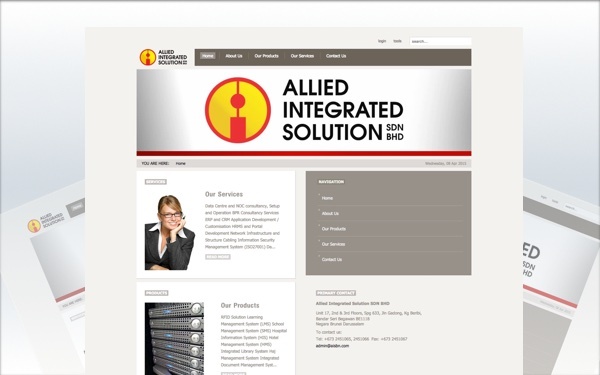 Allied Integration Solutions company profile website, powered by Joomla CMS. Allied Engineering Solutions company profile website, powered by Joomla CMS. 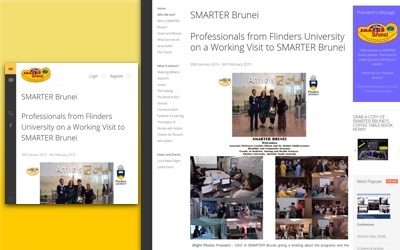 SMARTER Brunei is a NGO in Brunei Darussalam that caters Autistics children and young adults. They started their web presence using Multiply's social network. 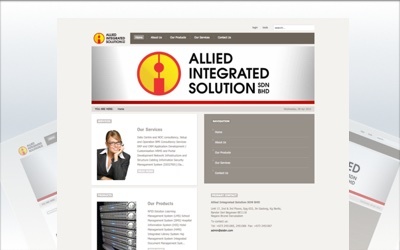 We level up their game using Joomla CMS and a responsive website. Now they are self sufficient in maintaining their website thanks to Joomla CMS intuitive backend and frontend. This license shall automatically terminate if you violate any of these restrictions and may be terminated by Bahit Designs at any time. 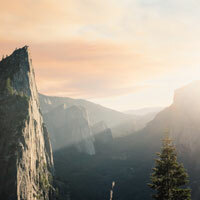 Upon terminating your viewing of these materials or upon the termination of this license, you must destroy any downloaded materials in your possession whether in electronic or printed format. The materials on Bahit Designs's web site are provided "as is". Bahit Designs makes no warranties, expressed or implied, and hereby disclaims and negates all other warranties, including without limitation, implied warranties or conditions of merchantability, fitness for a particular purpose, or non-infringement of intellectual property or other violation of rights. Further, Bahit Designs does not warrant or make any representations concerning the accuracy, likely results, or reliability of the use of the materials on its Internet web site or otherwise relating to such materials or on any sites linked to this site. In no event shall Bahit Designs or its suppliers be liable for any damages (including, without limitation, damages for loss of data or profit, or due to business interruption,) arising out of the use or inability to use the materials on Bahit Designs's Internet site, even if Bahit Designs or a Bahit Designs authorized representative has been notified orally or in writing of the possibility of such damage. Because some jurisdictions do not allow limitations on implied warranties, or limitations of liability for consequential or incidental damages, these limitations may not apply to you. The materials appearing on Bahit Designs's web site could include technical, typographical, or photographic errors. Bahit Designs does not warrant that any of the materials on its web site are accurate, complete, or current. Bahit Designs may make changes to the materials contained on its web site at any time without notice. 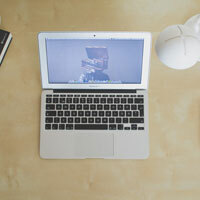 Bahit Designs does not, however, make any commitment to update the materials. Bahit Designs has not reviewed all of the sites linked to its Internet web site and is not responsible for the contents of any such linked site. The inclusion of any link does not imply endorsement by Bahit Designs of the site. Use of any such linked web site is at the user's own risk. 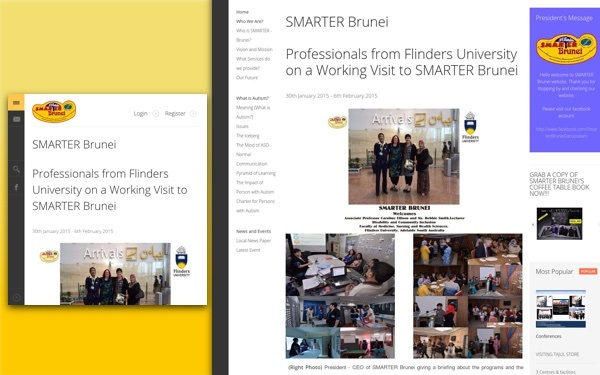 Any claim relating to Bahit Designs's web site shall be governed by the laws of Brunei Darussalam without regard to its conflict of law provisions.